Battling nausea and inner-ear problems, pole sitter Will Power will miss the Verizon IndyCar Series season-opening Firestone Grand Prix of St. Petersburg on Sunday. Oriol Servia will take his place in the car. 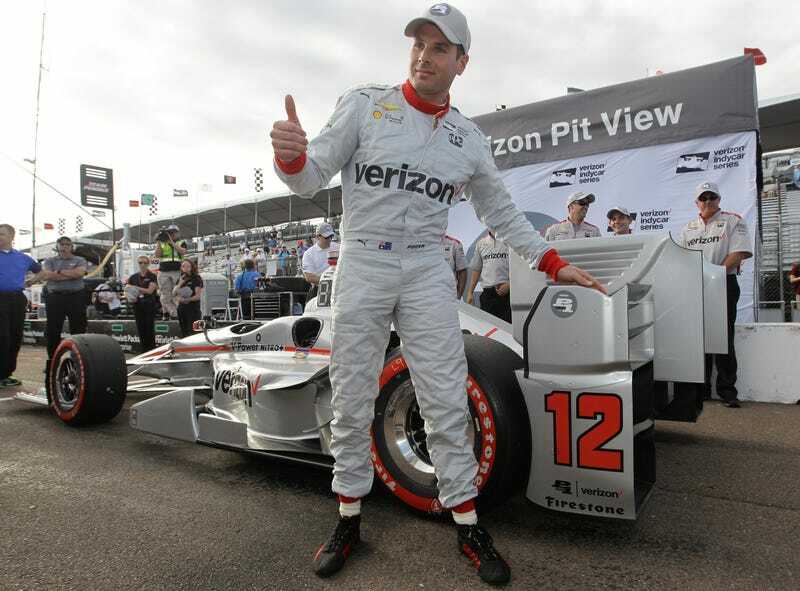 The nausea affected Power on Saturday as well, but the Associated Press reports that the Team Penske driver and 2014 IndyCar champion managed to top the qualifying field and break his own track record three times. Now that Power will miss the race, the AP reports that he is being tested for a possible concussion. Due to Power’s condition persisting through race day, NBC Sports reports that Servia took Power’s seat in the No. 12 Chevrolet just before warmup laps. Per the IndyCar rules, the replacement will drop Servia to the back of the 22-car field and fellow Penske driver Simon Pagenaud will inherit the top starting position. Power crashed in IndyCar practice on Friday, but remained behind the wheel throughout a majority of the weekend. Whether or not the crash is related to the nausea is unknown at this time, and team owner Roger Penske told AP reporter Jenna Fryer that Power came into the weekend with the inner-ear troubles. We’ll update more on Power’s condition as we have it. Update: Per an IndyCar statement released on Twitter, the series medical director diagnosed Power with a mild concussion following another evaluation. Results from the original evaluation on Friday following the wreck showed Power to have no signs of injury, and medical officials cleared him to race. The statement added that Power has been entered into the series’ concussion protocol, and will need reevaluation before being cleared to drive again.